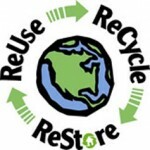 Volunteer Opportunities Available at the ReStore! Volunteering at the ReStore is a great way to support Habitat’s mission to build safe, affordable homes with families in our community. Volunteers work every aspect of the ReStore including customer service, sorting donated goods, organizing furniture displays, and cleaning of the store. Volunteers with experience in retail and basic appliance and furniture repair are particularly needed. ReStore hours are Tuesday, Wednesday, Thursday, and Saturday from 10:00 a.m. to 6:00 p.m. and Friday and Sunday from 10:00 a.m. to 4:00 p.m. Half-day shifts are available! We also offer a Student Shift 3:00 p.m. -6:00 p.m. Tuesday-Thursday. To learn about what volunteers can expect when volunteering at the ReStore please refer to our ReStore Volunteer Guide. For more information about ReStore volunteering, please contact Allison Mangles, Habitat Volunteer Coordinator, at (203) 785-0794 ext. 110 or amangles@habitatgnh.org. You can also go directly to Volunteer Up, our online registration system, and sign up for a date.